The US is using protests in Iran as a means to stop the 2015 landmark nuclear deal with Tehran, according to the Russian ambassador to the UN. The Friday comments by Russian Ambassador to the UN Vassily Nebenzia followed a hastily-called emergency meeting of the United Nations Security Council (UNSC) — at the demand of the US ambassador — in which Washington sought to paint the current Tehran administration as corrupt, incompetent and totalitarian, a spin noted by UN members to be a pretext to dismantling the historic Joint Comprehensive Plan of Action (JCPOA) between the P5+1 and Iran. The P5+1 (for the five permanent members of the UN Security Council (UNSC) China, France, Russia, United Kingdom, United States — plus Germany and the European Union) entered into the agreement with Iran in 2015 as a means to deescalate nuclear tensions in the region. Many UN members expressed their displeasure with what are considered to be heavy-handed and isolationist tactics by the US to dismantle the key nuclear treaty, an agreement that has been to shown to be largely successful in its aims, according to al Jazeera. "The United States is abusing the platform of the Security Council," said Russian Ambassador Nebenzia. 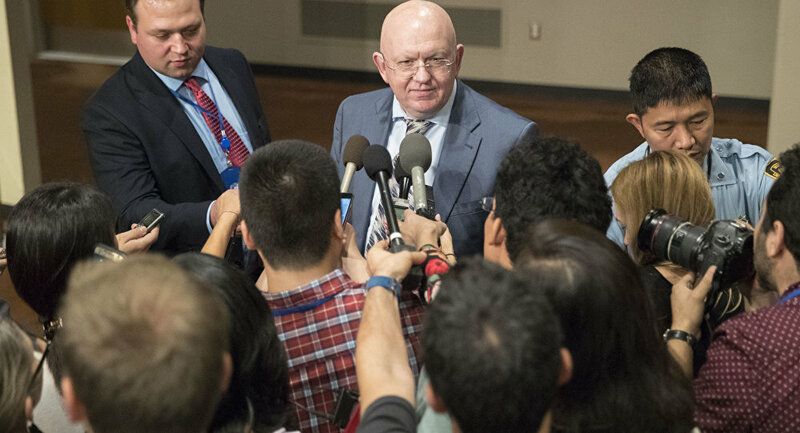 "Let Iran deal with its own problems," Nebenzia advised, adding, "The real reason for convening today is not to protect human rights or promote the interests of the Iranian people, but rather a veiled attempt to continue to undermine the Iranian nuclear agreement," cited by the New York Times. Member nations agreed with the Russian ambassador's assessment. UNSC member France declared that the ongoing Iran demonstrations were not an issue for which the international body required emergency meetings. "However worrying the events of the last few days in Iran may be they do not constitute per se a threat to international peace and security," French Ambassador to the UN Francois Delattre said, cited by Reuters. "We must be wary of any attempts to exploit this crisis for personal ends, which would have the diametrically opposed outcome to that which is wished," Delattre added. 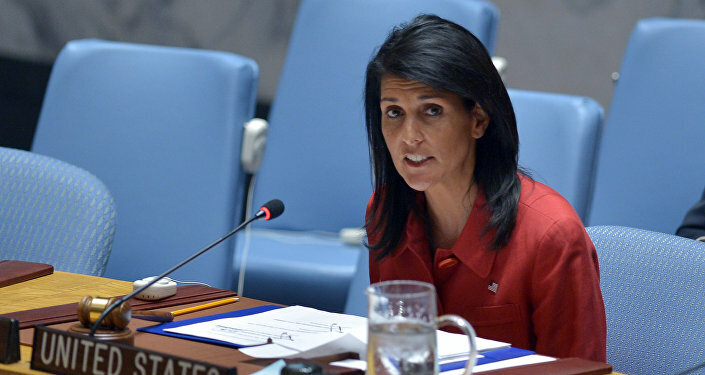 Tehran was more to the point, observing what it referred to as a US overreach in the use of the UNSC body. Iranian Ambassador to the UN Gholamali Khoshroo asserted that the administration of US President Donald Trump — in the form of its current and widely-criticized ambassador Nikki Haley — was abusing its position as a permanent UNSC member in demanding the emergency meeting. "It is unfortunate that despite the resistance on the part of some of its members, this council has allowed itself to be abused by the current US administration in holding a meeting on an issue that falls outside the scope of its mandate," noted Khoshroo. Almost a week of sporadically violent protests involving upwards of 50,000 demonstrators in the Middle Eastern country has seen at least 22 killed, as Tehran authorities accuse the United States, Israel, and Saudi Arabia of tacitly fomenting unrest that began in late December 2017.